For almost a decade, Piers has steered the content direction of the daily news site PSFK.com so that today it is read by 1.5 million creative professionals. In that time, he has driven thought leadership into health, retail, marketing and other key sectors with a series of provocative ‘Future Of’ reports and the hosting of insightful events where he brings to stage the next generation of change makers. 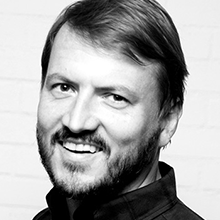 With his team at PSFK Labs, Piers has provided product and marketing strategy advice to the world’s leading brands including Apple, BMW, Google and Target. Piers is often called to give his point of view through leading media publications such as BBC, Bloomberg, New York Times, Wall Street Journal. As founder of PSFK.com Piers has driven thought leadership in health, retail, marketing and other key sectors. With PSFK Labs, Piers provides strategic insights and advice to leading brands around the world.